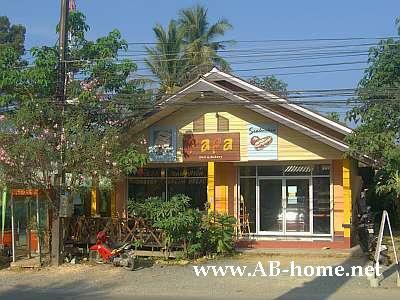 The Papa island bakery is located at north Kai Bae beach on Thailands island Koh Chang. Papa deli & bakery offer Bread, Croisants, Baguettes, Pizza; fresh coffee and much more. Here you can relax by a good breakfast on the balcony. This Restaurant have a good choice of European Salami, Sausage and Cheese. The bakery on Koh Chang open at 8 o´clock in the Morning with crispy bagutte sandwiches and fresh whole corn bread. My favorite here at Papa Bakery in Kai Bae Beach is the Baguette sandwich with Gouda and spicy Italian Salami. They serve all baguettes with salad, cucumber, fresh pepper, tomato and your choice of mustard or mayonaise. For me Papa is the best bakery on Koh Chang in the Gulf of Thailand. Try it out.